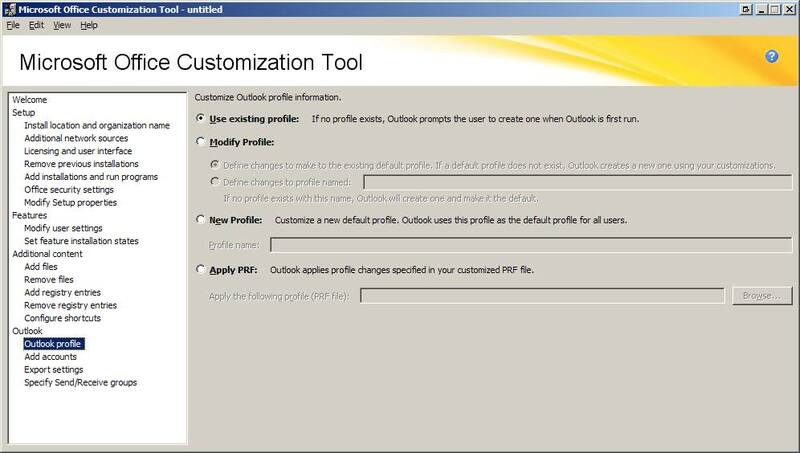 You’ll probably want to set ‘Modify Profile’ and ‘Define changes to make the existing default profile’. 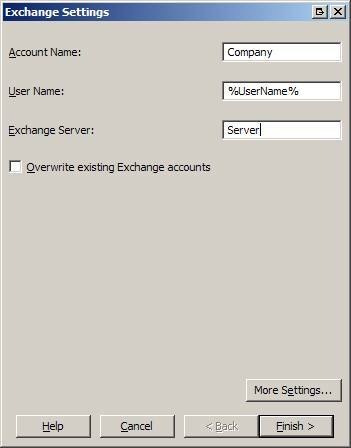 Then head to the “add accounts” and configure the default account. Setting this up correctly can eliminate the need for PRF files in most cases, so you’ll want to pay special attention to this section. 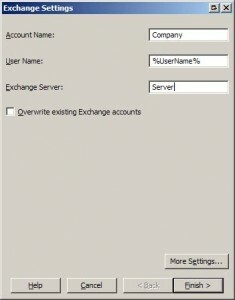 If you have multiple Exchange Servers, you can put the IP/FQDN of a DC in the Exchange Server box and it will resolve the location of the User’s mailbox. 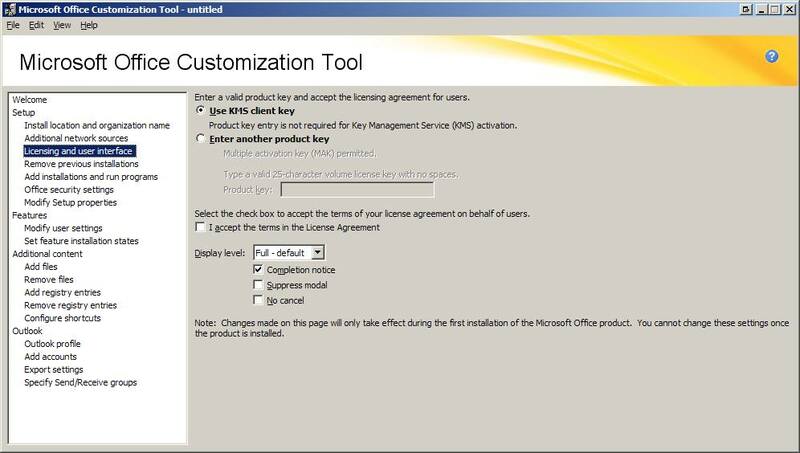 Once you have made all of your customizations, select file and save as from the top menu. 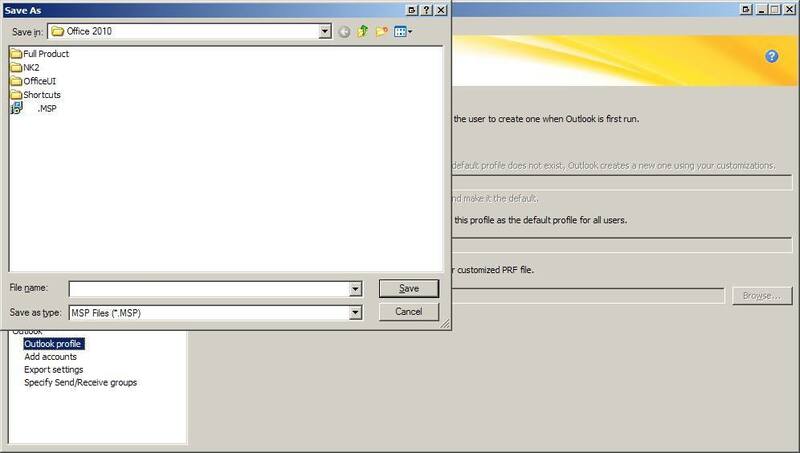 From here you can specifiy the file name for your .MSP. 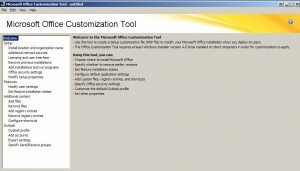 Here is the batch file you’ll add to your GPO for installation. The installation seems to take around 10 minutes. 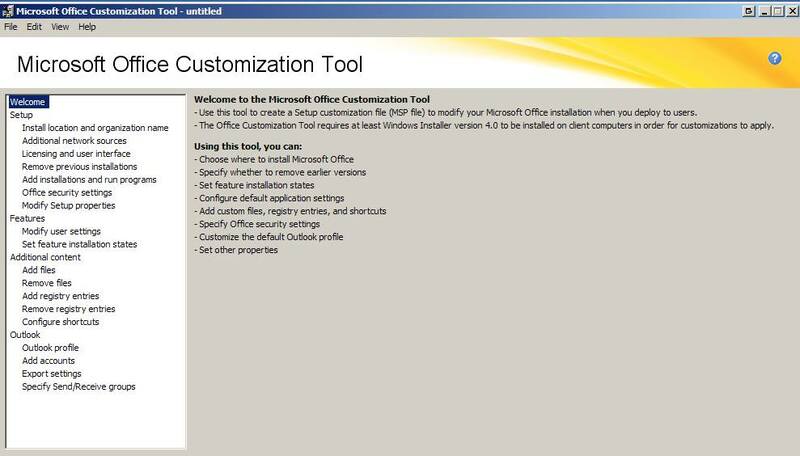 "\\server\share\Microsoft\Office 2010\setup.exe" /adminfile "\\server\share\Microsoft\Office 2010\Install.MSP"
In the next part we will look at customizing the ribbon, default fonts and other parts of the GUI. 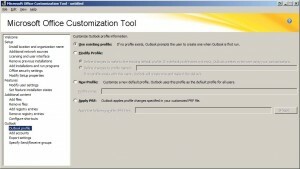 Then how you can automate the config via a group policy script. Good point about the possibility of the GPO timing out.